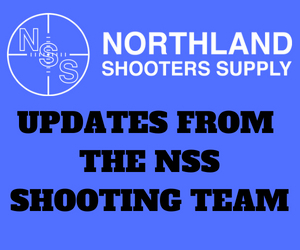 The products purchased from Northland Shooters Supply must be used for their intended purpose. Any items which require proper assembly or machining must be completed by a qualified gunsmith. Improper assembly or use may result in serious physical injury to the shooter and bystanders, and damage to the firearm and surrounding property. Barrels have not been proof tested; however, to assure structural integrity, Northland Shooters Supply strongly recommends proof testing after a barrel has been mounted onto the receiver to levels of factory ammo or proof rounds, due to the multiple calibers available and various pressures which can be generated. This agreement and any sales here shall be governed by the laws of the State of North Dakota, without regard to the conflicts of laws rules. The customer consents to the jurisdiction of the federal or state court located in Burleigh County, North Dakota for purposes of any suit, action or proceeding arising out of this sale agreement. Northland Shooters Supply hereby expressly disclaims all warranties either expressed or implied, including, without limitation, any warranty of merchantability or fitness for a particular purpose. 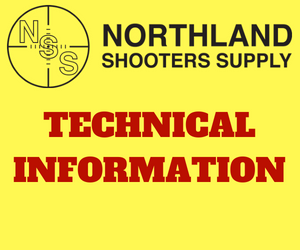 This disclaimer by Northland Shooters Supply in no way affects the terms of the manufacturer’s warranty if any. It is the responsibility of the buyer, not Northland Shooters Supply to ascertain and obey all applicable local, state, and federal laws in regard to the possession and use of any item purchased from Northland Shooters Supply. All products are sold upon the condition that we, the seller, shall not be liable in any action for the arrest, accident, or injury occasioned during the transportation, handling, storage, sale, or use of the merchandise. Consult your local and state laws before ordering if you are in doubt. Absolutely no sales to minors. By placing an order, the buyer represents that the products ordered will be used in a lawful manner and that he/she is of legal age. Northland Shooters Supply or any of its employees will not be held liable for the misuse of any product purchased from us. When you purchase an item from Northland Shooters Supply, you release Northland Shooters Supply and any or all of their employees of any liability regarding your actions concerning the sale, use, ownership and shipping of any products ordered. A person may not change, alter, remove, or obliterate any mark of identification on a firearm, including the name of the maker, model, or manufacturer’s number or knowingly possess a firearm on which these alterations have been made. Possession of any firearm upon which any identification mark has been changed, altered, removed, or obliterated creates a rebuttable presumption that the possessor made the alterations. Northland Shooters Supply is not liable to any person or to the estate, a successor, or survivor of any person for any injury suffered, including wrongful death and property damage, because of the use of a firearm by another. The potential of a firearm to cause serious injury, damage, or death as a result of normal function does not constitute a defective condition of the product. A firearm may not be deemed defective on the basis of its potential to cause serious injury, damage, or death when discharged. IN NO EVENT SHALL NORTHLAND SHOOTERS SUPPLY BE LIABLE FOR ANY DAMAGES OR INJURIES SUSTAINED IN THE USE OR MISUSE OF THIS PRODUCT.